First, my stand is not a bursig per se, It's a Moto MFG stand with a bursig adapter plate. But seeing as the stands are almost identical it works well enough. I'm already seeing a shiny spot being formed from the weight of the bike deforming the metal. It makes me worry that this is far too much load for that mounting point. Do any other owners have some long term use feedback about how theirs is fairing? I also wanted to make note of a more engineering based critique I have of the design and see if anyone here has a more extensive background than myself and could offer some feedback. I did run a skim cut along both sides of the plate and the edges because the surface condition was just awful. That's why its shiny and has no plating. Looking at the adapter plate (fig. 3) It's joined to the lifting mechanism by one main bolt that goes through a slot feature on the adapter. But why a slot feature? 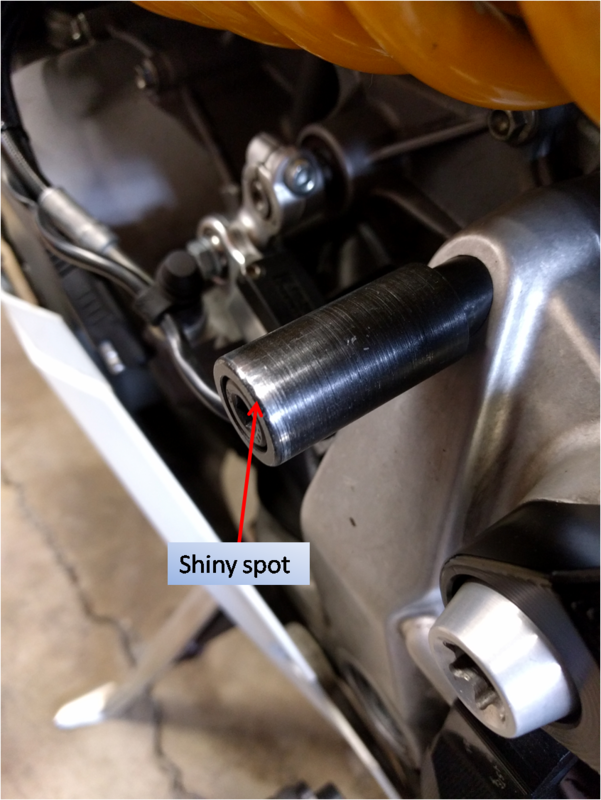 If the full load of the bike is resting on that one bolt why is it not a hole or more ideally a bushing with a shoulder bolt. It seems like the only thing keeping the plate from sliding down is the torque from the bolt keeping the plates together. But even that is only being transferred to the plate through two small sections where the washer contacts the plate as opposed to the full circumference of the washer contacting if it was just a hole feature. Same goes for the lower mounting point shouldn't it share is distributing the load from the top. 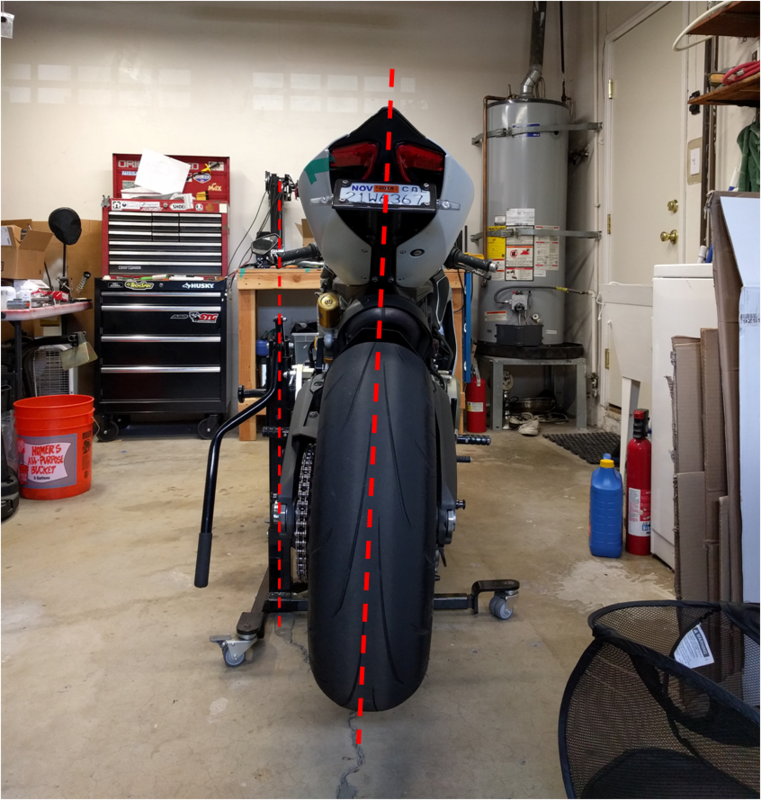 I know at some level they were slotted to make room for adjustments when fitting up to the bike, but could center to center measurements really be that different for bikes of the same model? The lean is normal - all my bikes had lean to them, although for some reason I recall they leaned the other way. I will take a head on photo of my bike when I get back home next week. I bought the knock off my first time around and don't recommend it. Bursig makes the best stand on the market and it's worth the premium IMO. RE: the adapter plates, I agree--they can be a pain to get right and I think it's partly a cost savings measure. Last edited by NW1299; Jun 19th 2018 at 01:29 PM. I have the same MOTOMFG stand with Bursig plate adapter... same lean, same shiny spot, and overall the same concern. Previously I had a ZX10-R on a Bursig plate adapter with the same lean. I originally purchased the MOTOMFG stand with its adapter for my 848 - and that didn't have a lean. Last edited by DeltaCharlie; Jun 19th 2018 at 03:08 PM. I have an SVRacingparts stand and it does not lean like that. I would say it actually leans slightly the opposite direction. I got my 1299 onto the bursig once and cant get it on again. Ive tried raising and lowering it the plate. Raising and lowering the lower pin. Lifted the bursig to mount it. Tried different angles and Nothing. It slides on halfway with force and then just gets stuck. I have no clue what Im doing wrong. My other bikes have no issues with the bursig. 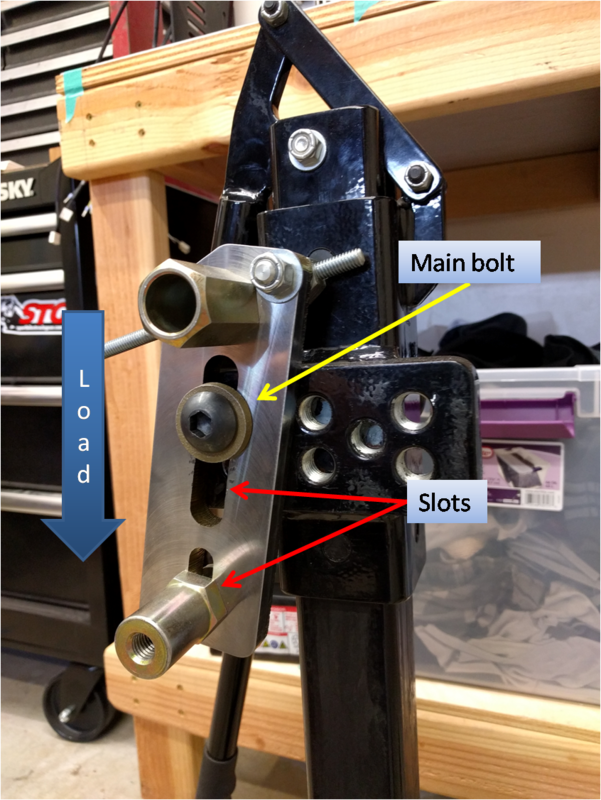 Take the plate off the stand and adjust it on the bike independently, then mount it on the stand. Tolerances and fitment are narrow by design, so you need to make sure it's exactly right or you will struggle to get it in and out. No pun intended. How does the SV stand interface with bike? Is it the same as my pictures? Any obvious difference in the stands that would make yours lean the other way? Similar. The two pins remain part of the mounting bracket. It doesn't separate. Hard to tell by your picture but mine has a shock on the opposite side to slow the bike down when lowering it. I have zero complaints. Are there any wear marks on your pins that indicate whether one pin or the other is carrying the majority of the load? If it's not too much trouble could you take a picture of your with similar framing to my fig. 3? My pins are not coated black. They are just zinc plated. Nothing about the function or wear indicators has me concerned about durability. Because the placement of the pins is behind the majority of the weight there is some torsional loading going on but everything seems solid. But I certainly wouldn't want to sit on it while it was elevated. It's not that solid.